Have you ever walked a labyrinth and wondered “What am I supposed to be doing here?” Walking meditation is an archetype, a mystical ritual found in all religious traditions. It quiets the mind and opens the soul. 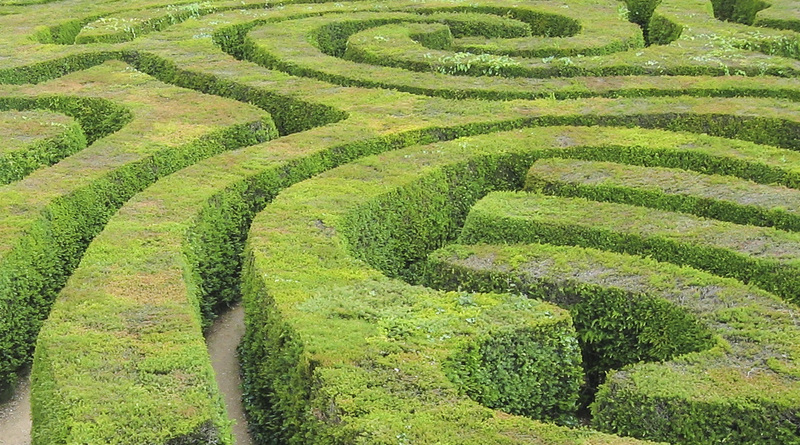 Join us in the Kellogg Community College Lifelong Learning Department’s Labyrinths & Walking Meditation class to explore the ancient and modern uses and purposes of a labyrinth and learn about various labyrinth patterns. You’ll even walk a labyrinth in class! Discover the potential of the labyrinth to inspire change and renewal, and open your consciousness to healing and positive mystical experiences. Your instructors both have large labyrinths on their properties that are open for public use and they’re here to share the power of walking meditation with you. Pictured above: A labyrinth photo courtesy of Flickr user fribbleblib, used under a Creative Commons Attribution 2.0 Generic license. The image was cropped and adjusted slightly for use on this blog.